Please sign up to be alerted to our next BlogHouse. We are super excited to announce the next BlogHouse! This summer will mark the 7th BlogHouse. Over the last several years we’ve received wonderful feedback from our attendees and we continue to shape BlogHouse into the most transparent and inclusive event for travel bloggers. Not only do our bloggers learn a ton, they come away feeling inspired and like part of a family. So far we’ve hosted BlogHouses in Spain, Toronto, Ireland, Chicago, Milwaukee, and Philadelphia. Did you know Indy had a canal? BlogHouse is a three-day and night opportunity to live, work, and learn in a small group environment with both experienced and novice bloggers. There are workshops, panels, networking, and helpful one-on-one attention and advice. There are also some unique surprises, outings, activities, and opportunities for the participants! Participants spend time learning from mentors on a large variety of topics such as pitching and working with public relations and brands, writing, photography, social media, WordPress tips, monetization, and more. This is a low-stress, high-giving environment for a close mentoring experience. You want to take your blog to the next level. You want to make blogging more of a career. We pride ourselves on our openness, transparency, and no-judgement environment. Our bloggers have gone on to become some of today’s top travel bloggers and have increased their followings ten-fold and won blogging and writing awards including the National Geographic Traveller Annual Travel Writing Competition. Fee: $550USD. This covers all workshops/training, most meals, and several other fun activities (see below). Accommodation is a media rate of $50 + tax/night at our venue, the JW Marriott Indianapolis. We intentionally keep BlogHouse a small and intimate environment with typically 20 attendees maximum. All attendees are hand selected. Slots are limited so please apply now and tell us why you make a perfect candidate! We are looking for advanced beginner (not brand new) to intermediate bloggers who want to up their game. Bloggers who take this seriously and want to make more of a career out of blogging and take their blog to the next level. Your blog must be at least 6 months old. Your blog must be current and consistently updated. You must have a Facebook page for your blog and a Twitter account, both of which are active. Your blog must be in English. 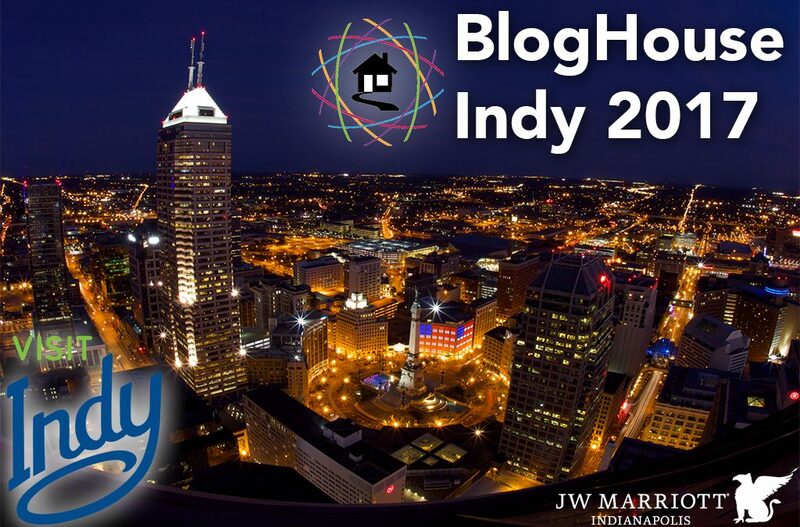 You will be required to promote #Bloghouse and partners on social media channels (mainly Facebook and Twitter) plus write at least one blog post about your time in Indy in some capacity. Indy is going to surprise you. Possibly most well known thanks to its sports teams and the big Indy 500 car race, Indianapolis is the second largest city in the midwest after Chicago. Today, it has become a thriving, contemporary city with a hip food and drink scene, lots of green spaces, and tons to do! 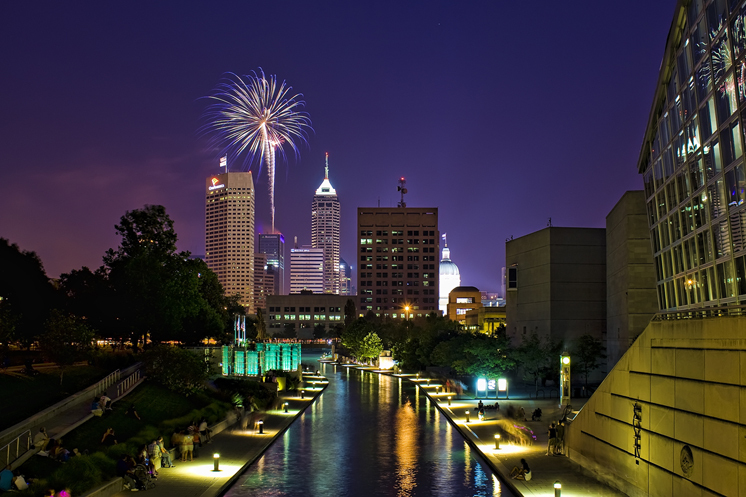 Right downtown you can discover the White River State Park with 250-acres of green-space, the scenic Central Canal, and a many of Indy’s top attractions. Stroll to a collection of monuments and memorials rivaled only by Washington DC. Or hop on the city’s bike-share and hit the cultural trail, an eight-mile loop around the city. Take a short drive to the Indianapolis Museum of Art, check out the Indianapolis Zoo and their new orangutan center , and visit to The Children’s Museum of Indianapolis, the largest children’s museum in the world. 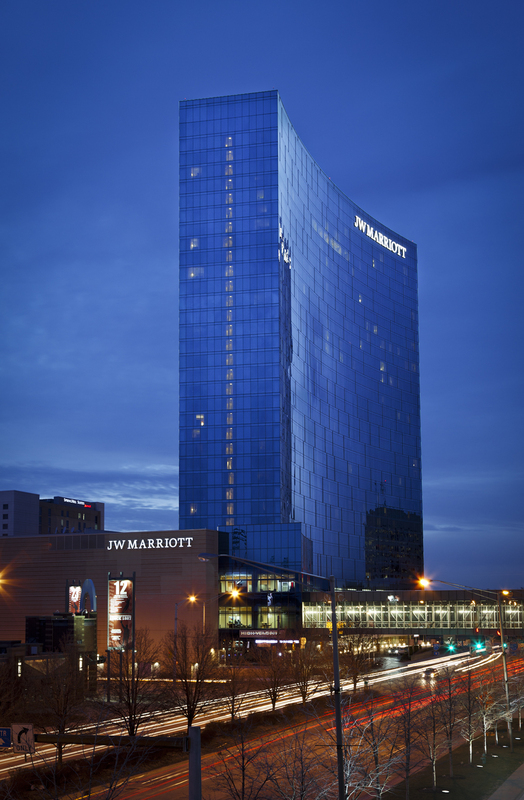 Recently named as the 25th best hotel in the world and number one in the Midwest by Conde Nast, JW Indy is one of the largest JW Marriott hotels in the world and the tallest hotel in the state. The lobby and rooms have a sophisticated and contemporary feel, there are several restaurants, a gym, and an indoor pool. 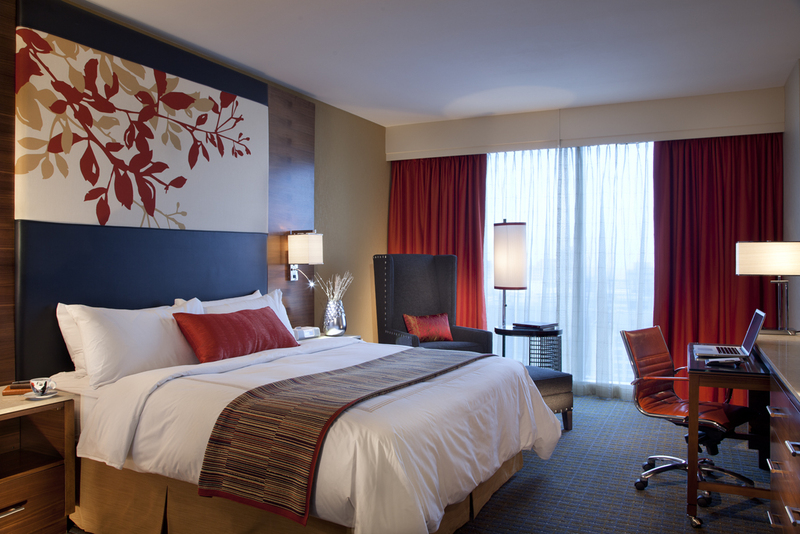 Plus the hotel is within walking distance to much of downtown Indy. 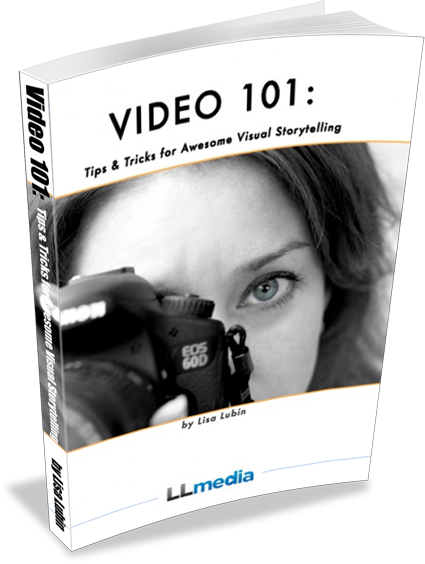 Lisa Lubin is an established travel/food writer and photographer, three-time Emmy®-award winning TV producer, video consultant, and travel industry expert. After more than a decade in broadcast television she took a sabbatical, which turned into three years traveling around the world. Since 2006, she’s been blogging at LLworldtour.com. 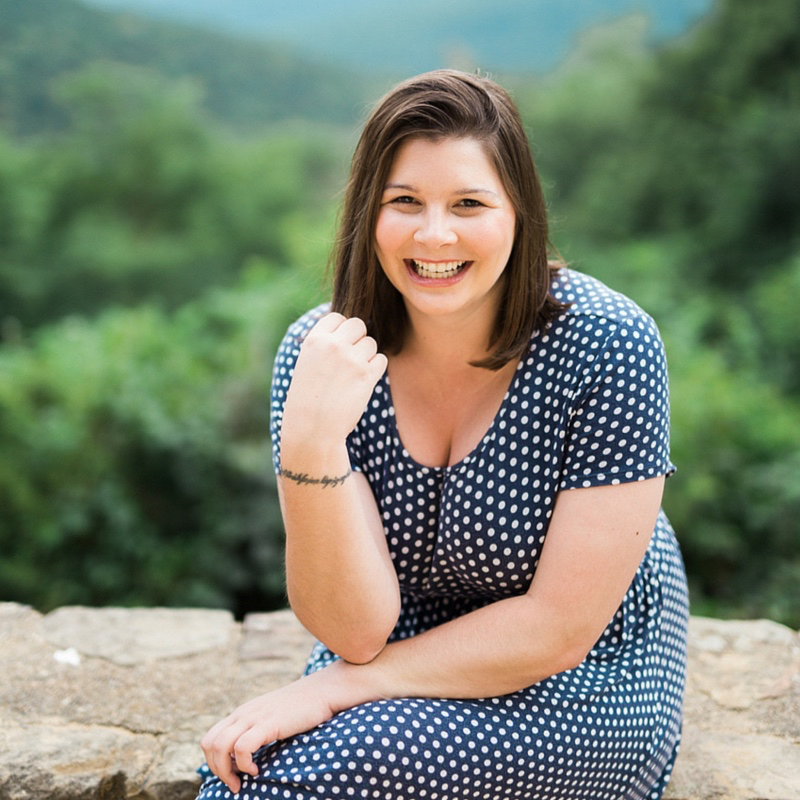 Her writing and photography has been published by American Way Magazine, Wall Street Journal, Chicago Tribune, West Jet Magazine, Sheridan Road Magazine, Smithsonian, the Malibu Times, Encyclopedia Britannica, Orbitz, Marriott Traveler, and Uber. She recently published The Ultimate Travel Tips: Essential Advice for Your Adventures available on Amazon. 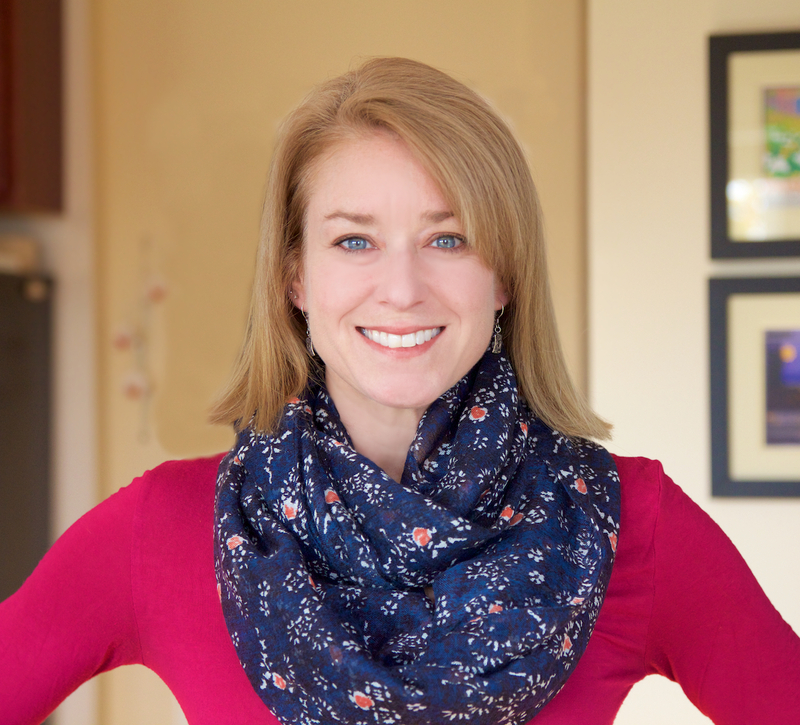 Amanda Williams is a blogger, freelance writer, and adventure-seeker from the American Midwest. She uses her blog, A Dangerous Business, to inspire people to fit more travel and adventure into the lifestyle they already have. 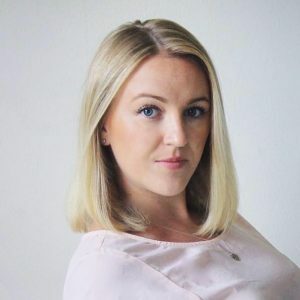 In the past six years, Amanda has traveled to nearly 50 countries on 6 continents, and has been featured by major publications and websites like AFAR, The Huffington Post, Ohio.org, and USA Today Travel. 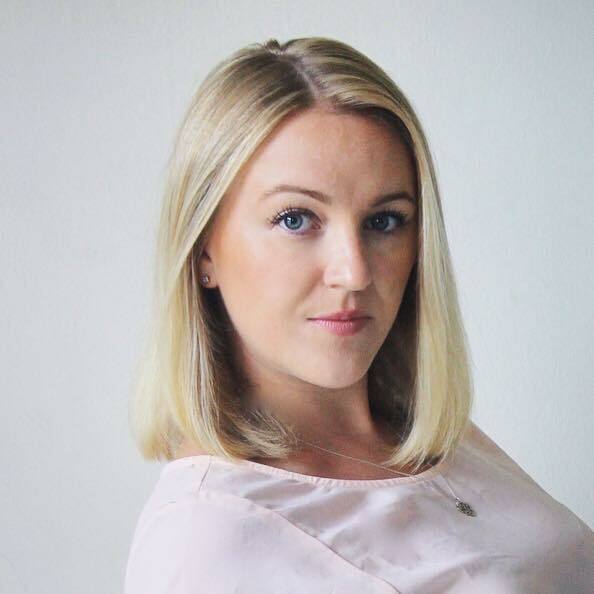 Anne Lowrey is an award-winning freelance travel writer based in San Francisco. After spending a year in the world, she insisted on building a life at home she loved as much as she loves travel. The result was a move to San Francisco, which she affectionately calls her “soul city.” She blogs at Part-Time Traveler, which emphasizes the connection between and balance of travel and home. She also works in community management, branding, and social media consulting and holds degrees in English and Global Studies from UCLA. Keryn is a freelance writer and digital influencer living outside of Washington, D.C. Her work has been featured in Travel Age West magazine, ParentMap Magazine, Travelocity.com, TravelMindset.com, and many more print and digital publications looking for quality, well-researched content. 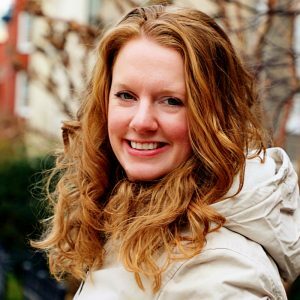 In 2016, Keryn launched Walking On Media, LLC, a parent company to her two sites (WalkingOnTravels.com and WalkingOnMom.com), the #WalkingOnWeekends Twitter chats she hosts every other Tuesday, as well as digital influencer projects where Keryn works with destinations and brands to create an authentic message that resonates with millennial and Gen X travelers, especially moms who don’t want to let go of their travel dreams. Her site gives hope to today’s active parent who doesn’t see kids as a roadblock to travel, but an excuse to get out the door and explore. Keryn loves to encourage families to take that first step out the door, the hardest step of all. Ryan is a web strategist at Orbit Media Studios. Before joining the company and becoming an Orbiteer, Ryan founded a web design, development, and digital marketing company in Chicago. His passion is learning about different digital operations and applying them to Orbit’s success. His skills are rooted in analysis, strategy, problem solving and mobilizing all parties involved around the accomplishment of the objectives. 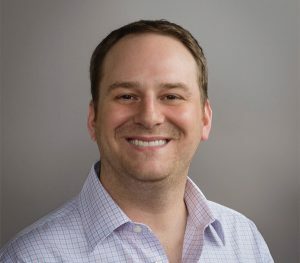 He brings years of experience with WordPress to Orbit, ranging from speaking at and organizing WordCamps to building and marketing successful enterprise websites. Ryan is the current lead organizer for both WordCamp Chicago and Startup Weekend Chicago. Morgan Snyder is the Director of Public Relations at Visit Indy, the city’s official destination marketing organization charged with increasing leisure and business travel to Indianapolis. Prior to joining Visit Indy, she served as the Public Relations and Marketing Manager for the Conrad Indianapolis hotel and a member of the Hirons & Company team charged with public relations and advertising for Indiana state tourism. Snyder is also an active member of the Society of American Travel Writers, Public Relations Society of America, Leadership Indianapolis, and as a 2007 Butler University alum, she serves on Butler University’s Career Advisory Board. Snyder also played a media relations role as a member of the 2012 Super Bowl Host Committee and served on Butler University’s Young Alumni Board. 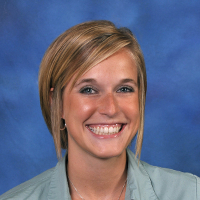 Destination Marketing Association International recently named Snyder a “Top 30 Under 30” for her work in the tourism industry. Snyder was also named as one “Indy’s Best and Brightest” by Junior Achievement in 2012.